At the RCMP Museum in Regina, Saskatchewan there is an academy on site for those who are interested in becoming part of the team. 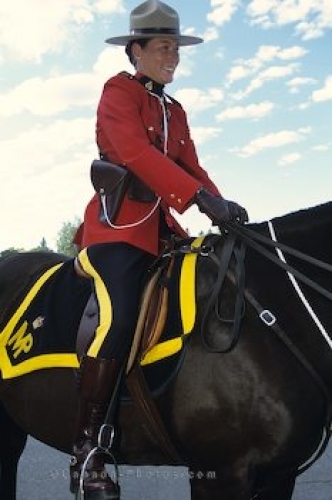 This lady in her traditional uniform looks proud to be a member of the RCMP Academy as she sits high upon her horse. Picture of a woman RCMP at the academy in Regina, Saskatchewan.